Lot 37 Q/R Poster 1940 Big-4 issue. 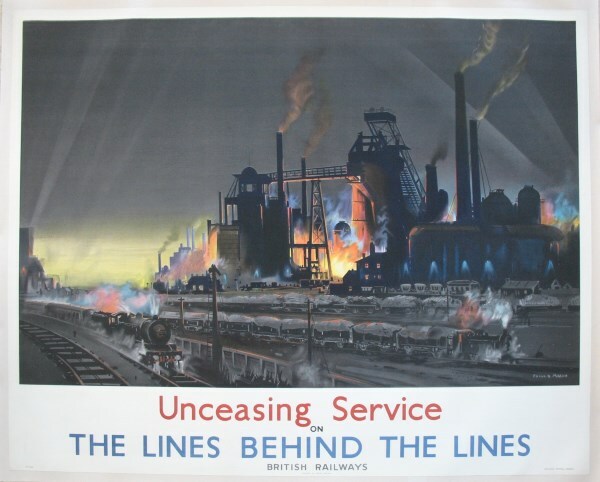 "Unceasing Service on The Lines Behind The Lines - British Railways", by Frank Mason. Dark and brooding wartime industry, with round-the-clock railway activity. Excellent condition, professionally backed on linen.